Microchipping is a simple way to greatly increase the chances of having your pet returned to you in the event that they are lost or stolen. According to Home Again, a major microchip manufacturer, 17% of dogs and only 2% of cats without proper ID will be returned to their owners. 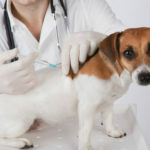 A 2009 article in the Journal of the American Veterinary Medical Association found that microchipped dogs were twice as likely to be returned to their owners and microchipped cats were 20 times more likely to be returned to their owners than non-microchipped pets. A microchip is a small electronic chip enclosed in a glass cylinder that is approximately the size of a grain of rice. It is NOT a tracking device, and it does NOT have a battery. The microchip is activated when a scanner passes over it, sending its ID number via radiowaves to the scanner. Make an appointment with your veterinarian! The microchip is injected under the skin between the shoulder blades using a needle. 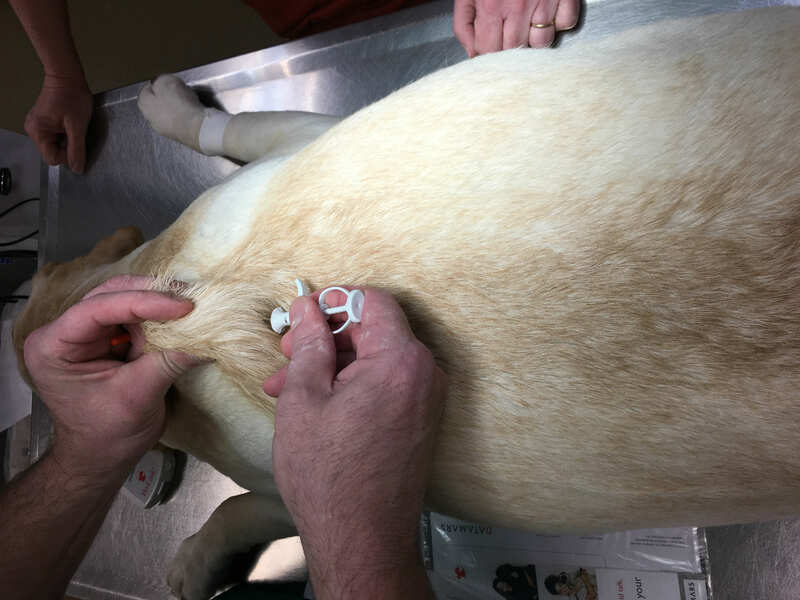 The needle used is slightly larger than those used for vaccines but generally causes no more discomfort to your pet. This can be done in an office appointment, as no surgery or anesthesia is required. 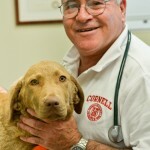 Microchipping can also be done while your pet is under anesthesia for a procedure (i.e. spay or neuter). What do I do after my pet is microchipped? Once your pet is microchipped, you will receive information about the microchip and your pet’s specific number. It is incredibly important that you then take that information and REGISTER YOUR PET’S MICROCHIP ONLINE! 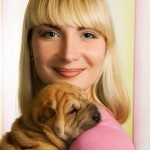 This way your pet’s microchip information is associated with your name and contact information. Regardless of the company that makes your pet’s chip, you can register it for free at www.found.org and many other databases. Remember to update your contact information in the chip registry every time you move or change your phone number. Does microchipping my pet replace the need for ID tags and rabies tags? NO! Microchips may be tamper-proof, permanent forms of identification but nothing replaces the need for collars and tags. Lost pets (especially cats!) with collars and ID tags are more likely to be picked up by good samaritans than those without collars or ID tags. 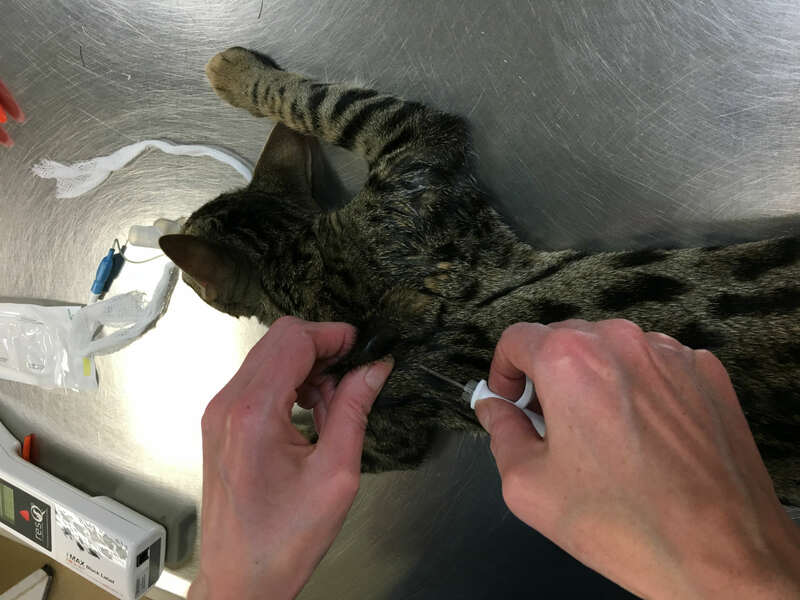 Also, reading information on a tag or collar is much quicker than finding a facility with a microchip scanner. Your pet should also always wear its rabies tag on its collar so people can quickly see that your pet has been vaccinated against this deadly disease. Rabies tag numbers provide yet another data point to identify a lost pet and contact its owner. Is there one central database that registers microchip information and makes it available to animal shelters and veterinary clinics? Currently there is not a central database in the U.S. for registering microchips. 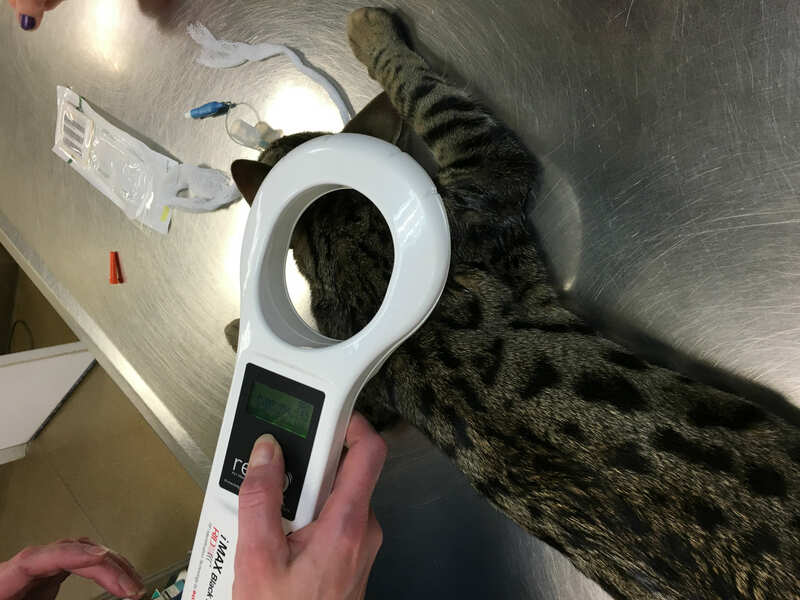 Each manufacturer maintains its own database, and there are many other databases with which you can register your pet’s microchip information. Fortunately, microchip scanners are usually universal scanners that have the ability to display the microchip manufacturer in addition to the number. In 2009, the American Animal Hospital Association (AAHA) launched their Universal Pet Microchip Lookup Tool (www.petmicrochiplookup.org), which provides a listing of the manufacturer with which the microchip’s code is associated as well as if the chip information is found in any participating registries. Many other free databases and registries exist but they are not all integrated into the AAHA Lookup Tool. 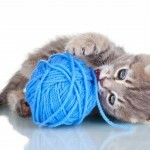 For this reason, it is imperative that any database with which you register your pet’s microchip be regularly updated.